Ludwig Mies van der Rohe is a highly-esteemed and much admired German architect, who is widely considered as the pioneer developer of the International Style. Famous for his minimalistic and modernist steel and glass office buildings, he greatly inspired the architecture of the 20th century. Some of Rohe’s world renowned projects include the German Pavilion for the 1929 International Exposition, Barcelona; the Federal Centre, Chicago; and the Seagram Building, New York City. Ludwig Mies van der Rohe was born on March 27, 1886, in Aachen, Germany. He attended the cathedral school for his primary education, and upon reaching the age of 13, he was enrolled in a trade school, where he spent his next two academic years. Initially, Ludwig had no particular interest in architecture, and he did not began his architectural training until much later. He initially trained as a draftsman, and began seeking employment with manufacturers of decorative stucco. In 1905, he was employed by notable Berlin furniture designer, Bruno Paul, he worked there for the next two years. In 1908, Mies joined the workforce employed by esteemed German architects, Peter Behrens, who advocated the use of machinery in architecture. Behrens was commissioned to design buildings and products for the German Electrical Industry. This period marked a very productive phase in Mies’ education, he learnt from Brehenes, the artistic concepts and architectural aesthetics of neo-classicism introduced by 19th century architect, Karl Friedrich Schinkel. This learning had a profound influence on his artistic orientation, and is reflected in many of his early works, especially the “Perls House”, Zehlendorf, Berlin. Brehens appointed Mies as the supervisor on the construction of the German Embassy, St. Petersburg. In 1912, Mies discontinued working for Brehens. Following the WWI, Mies was strongly influenced by the Stijl movement instigated by Theo van Doesburg and Gerrit Rietveld, this influence is exhibited in many of his projects, including the Brick country house project undertaken in 1923, and the brick monument dedicated to Karl Liebknecht and Rosa Luxemburg in 1926, but was later destroyed. Mies was also commissioned to design the furniture for many of his buildings, for instance, his tubular dining and lounge chairs designed for the second Deutscher Werkbund Exposition of 1927, Stuttgart. Mies was the director of the Deutscher Werkbund Exposition, which was an unconventional and creative venture, where architects and artists from all over the world presented their designs. Prominent and esteemed architects including Behrens, Le Corbusier, Gropius, J. J. P. Oud, Bruno Taut, Hans Poelzig, and many others made sure to attend it and contribute their own designs. In 1923, Mies began his collaboration with the notable magazine G. During the 1920s and 30s, Mies made several influential literary contributions to the philosophy of architecture as the director of the Werkbund-sponsored Weissenhof project and also, as the Director of the Bauhaus. In 1930, he designed his iconic “Tugendhat House”, Brno, Czechoslovakia, and also created the remarkable Tugendhat and Brno chairs. During the early 1930s, the increasing brutality and authority of the Nazi Party forced Mies to close his school, the Bauhau, in 1933, and later in 1937, he decided to leave Germany and migrate to the United States. His arrival in the US also marked the arrival of the International Style to American architecture. In 1938, he was appointed as the director of architecture at the Illinois Institute of Technology, he held this position till 1958. Mies was commissioned on several notable projects in the US, including the “Farnsworth House” in Plano; the pair of glass-sheathed apartment buildings on Lake Shore Drive, Chicago; the Federal Centre, Chicago; and the Seagram Building, New York City. 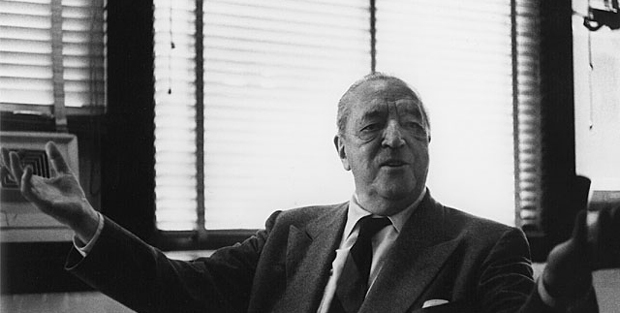 Ludwig Mies van der Rohe passed away on August 18, 1969.